BAT - BLOG : BATMAN TOYS and COLLECTIBLES: RARE Vintage BATMAN TOYS and Collectibles From Sweden!! RARE Vintage BATMAN TOYS and Collectibles From Sweden!! I recently got an email from a very good friend named Andreas who lives in Sweden. He wanted to share a few fun photos with us that show some cool vintage BATMAN toys and items from of his personal collection and it is all really great stuff! He has thousands of items mostly because he started to collect Batman Stuff at the age of 8, which was back in 1983. He tries to keep his collection varied and cover as many "eras" as possible. But stuff from 1966 and 1989 is what he likes to collect the most. 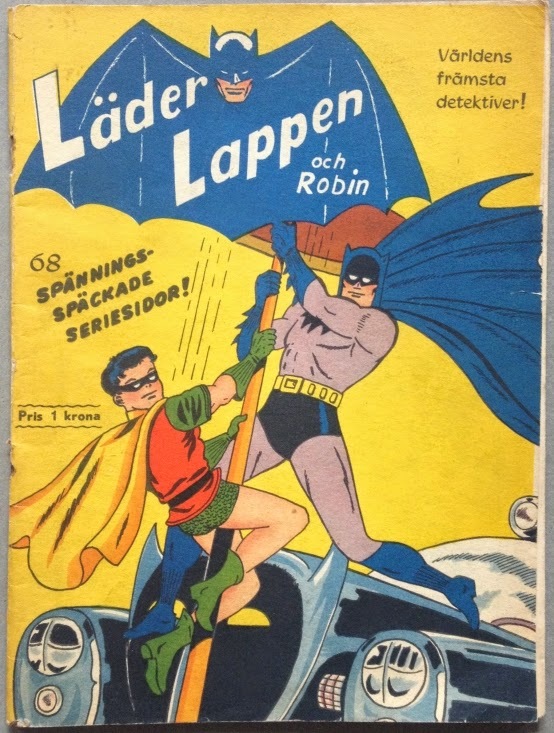 First off we have a Swedish Reprint BATMAN AND ROBIN Comic Book. I totally love the Golden Age Style Graphics and foreign language ( Well, "foreign to me", ha ha! ). It's from ©1950. 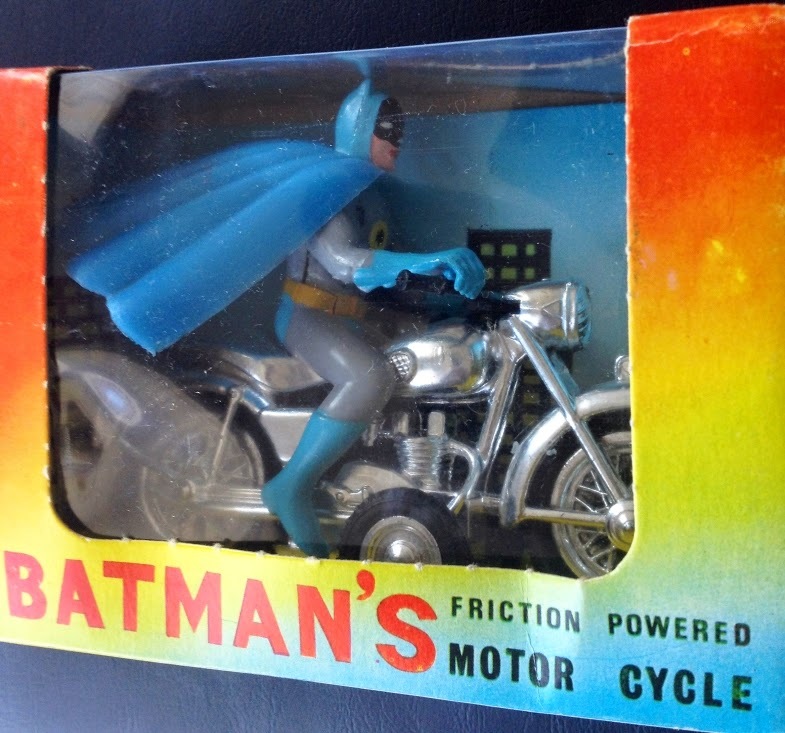 Next up, we have a super-rare BATMAN FRICTION MOTOR CYCLE Toy made by Lincoln International (New Zealand) in the original box ©1967. 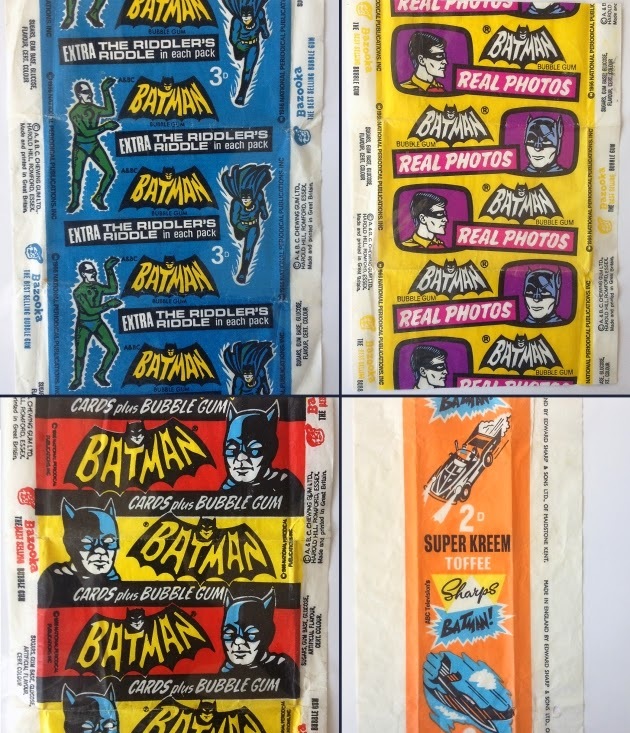 Then, check out these BATMAN Bubble Gum Candy Wrappers from the United Kingdom ©1966/67. 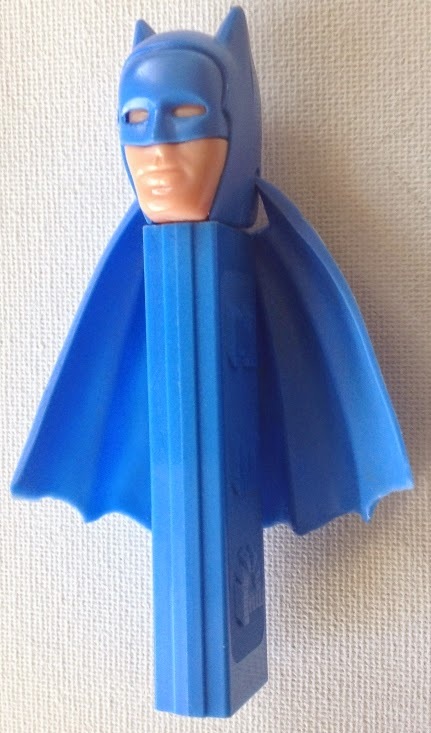 Then, last but not least, a cool BATMAN PEZ from 1966, with original cape. Also, if you would like to see more of his amazing BATMAN Toy Collection then please CLICK HERE!